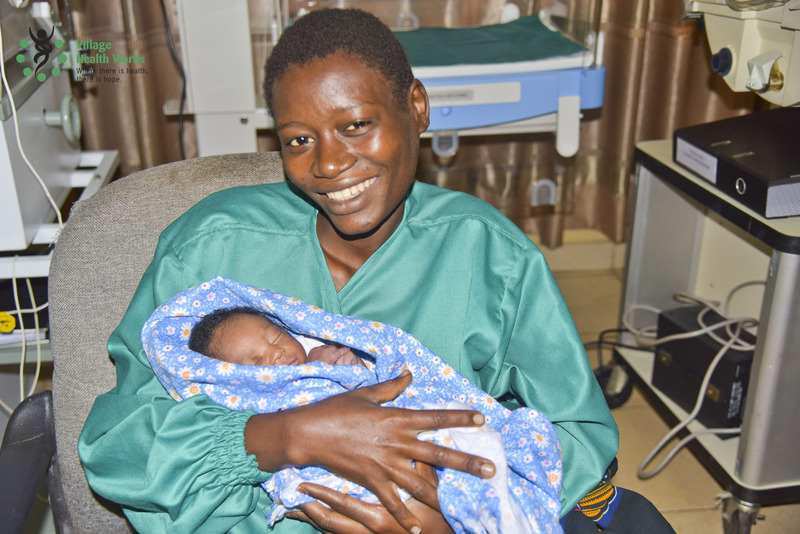 Muhimpundu Eduige cuddles her baby Don Divin who was born prematurely but survived, in large part due to the medical care they received at a neonatal clinic run by Village Health Works. Muhimpundu Eduige was suffering from a fever and malaria, not an ideal condition when you’re in labour. 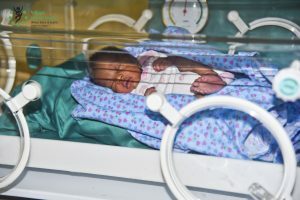 She was rushed to the Kigutu Hospital in Burundi, which recently added a neonatal wing with support from PWRDF and its partner Village Health Works. As soon as her baby was born, he was whisked away by doctors. Ndayishimiye Don Divin was born prematurely, weighing less than four pounds. His mother credits the Village Health Works Clinic for saving his life. After the birth of Don Divin, Muhimpundu told other pregnant women coming to the clinic that they were in good hands. “I will never thank enough the doctors who helped and supported me, God bless them all. I say thank you to Kigutu Hospital. I seen many other pregnant women coming here, I can testify to them that they are in good hands,” she said while smiling down at her son. 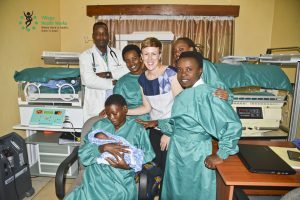 The neonatal service at the clinic was made possible with support of the All Mothers and Children Count program funded by PWRDF with a 6:1 match from Global Affairs Canada. The clinic will continue to work hard to save the lives of other children like Don Divin.